The Energy Systems Group combined expertise in traditional power engineering and power electronics with energy resource management and environmental preservation. It operated extensively with UK industry, within Europe and in less-developed countries. 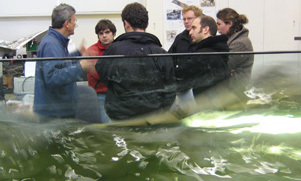 The Wave Power Group created Salter’s ‘duck’ to generate electricity from the waves and subsequent research focussed on improved wave devices, high efficiency hydraulic transmission and control and a new generation of test tanks. 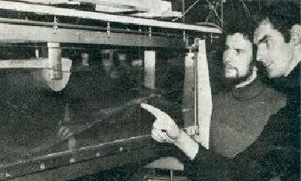 Combining these two groups led to significant commercial spinout activity, including world-leading wavemaking and tank building by Edinburgh Designs Ltd; development and application of Digital Displacement technology to control and transmission of fluid power by Artemis Intelligent Power Ltd; and the development of the Pelamis wave energy converter by Pelamis Wave Power. In 2010 the spin-out company NGenTec was created from the Machines and Power Electronics research group to help overcome a major hurdle facing the burgeoning renewable energy industry. The company has developed “direct drive” technology that replaces heavy and expensive gearboxes in wind turbines. Since the 1970s, with the pioneering and ground-breaking work led by Professor Stephen Salter, the Institute for Energy Systems has been at the forefront of marine energy research and now is operating the UK Centre for Marine Energy Research.